Versaclimber products are built to last – there are machines out there that are over 20 years old – and are still going strong! We buy used Versaclimbers, and refurbish them to the highest standards using our own experienced engineers and genuine Versaclimber parts. Refurbished Versaclimbers offer excellent value for money. Offering a significant saving over a new machine, the pre-owned Versaclimber range represents great value for money. All refurbished models come with the reassurance of a 12 month warranty, and the same quality care and support you’d expect with any purchase from Versaclimber UK. These machines come complete with a console, which displays figures for the climbing speed in feet per minute, the length of each climbing ‘stride’, a timer and the total distance climbed function. All pre-owned machines, with proper maintenance, will withstand many more years of continuous use. We also purchase second hand Versaclimbers, which can be traded in for part-exchange on a new machine. For more information please call 01360 550325. 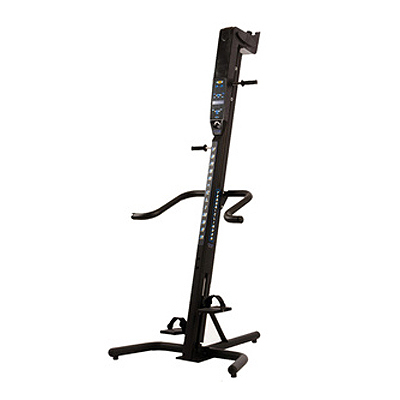 Versaclimber UK Ltd are happy to trade back or purchase any second hand versaclimbers . The options available are to trade your old Versaclimber in against a brand new machine or simply sell your old machine back to us.